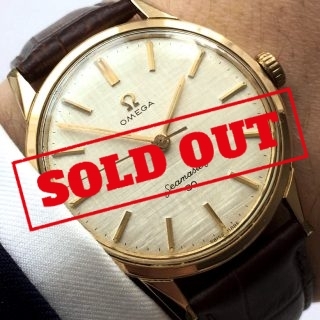 – Last service performed by Omega in 2013. The watch was checked by our inhouse watchmaker in 2018 and works perfectly. A proof of the Omega service is attached to the watch and serves also as a proof of authenticity for this model. The watch comes with a service card from Omega as displayed in the pictures. 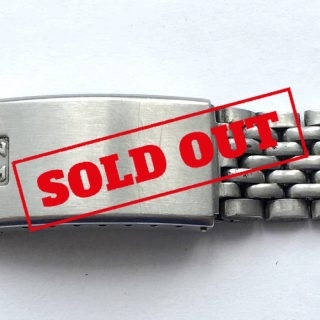 This paper is very important as these Vintage SM300’s are one of the most often re-produced vintage watches (sometimes even with Genuine Omega Service-Parts). So dont buy such a model without a document accompanying the watch that serves as a proof of authenticity. – Outside: The still FACTORY ORIGINAL (non-refurbished) dial has slight patina matching the age of the watch. The radium on the indices were removed in the service history of the watch. The original omega glas is in wonderful, nearly scratch free, condition. The polished case has slight signs of wear. The bakelite inlay of the bezel is missing as its most often the case for this “thin bezeled” model. Please consider the age of the watch. 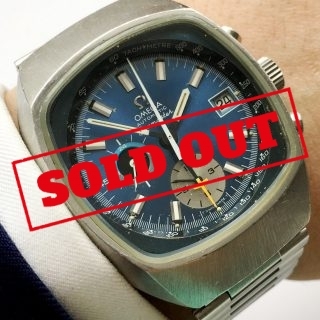 The sweep second hand was exchanged by Omega in the last service. 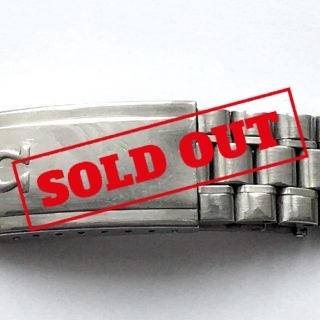 All other parts of the watch remained factory original. Please take advantage of the macro pictures on our website as we invested a lot of work to produce them. – Inside: Last Service in 2013 at Omega itself. The movement works perfectly. The crown moves smoothly. The watch starts running immediately and is keeping time well. The balance wheel oscillates vigorously and regularly. It has been regulated by our watchmaker. The still FACTORY ORIGINAL (non-refurbished) dial has slight patina matching the age of the watch. The radium on the indices were removed in the service history of the watch. The original omega glas is in wonderful, nearly scratch free, condition. The polished case has slight signs of wear. The bakelite inlay of the bezel is missing as its most often the case for this “thin bezeled” model. Please consider the age of the watch. 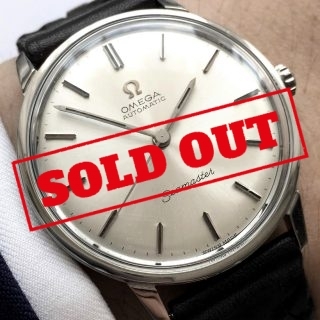 The sweep second hand was exchanged by Omega in the last service. All other parts of the watch remained factory original. Please take advantage of the macro pictures on our website as we invested a lot of work to produce them. Last Service in 2013 at Omega itself. The movement works perfectly. The crown moves smoothly. The watch starts running immediately and is keeping time well. The balance wheel oscillates vigorously and regularly. It has been regulated by our watchmaker. This is a very rare variant of the 165014 coming with the dial/hands combination which is usually evidenced only on the 2913 and 14755 reference. That being said, its the 3rd reference of the Seamaster 300 Vintage range and the last "transitional" of these "thin bezeled" references which were followed by the "thick bezel" models. The "small arrow // dauphine hands" and the closed six dial make it a wonderful watch for a wonderful price as the similar looking 2913 and 14755 are far more expensive. 1963 1964 - Letztes Service 2013 bei Omega. Kontrolle durch unseren Uhrmacher in 2018. Die Omega Servicekarte liegt der Uhr bei und belegt gleichzeitig die Echtheit der Uhr. Outside:The still FACTORY ORIGINAL (non-refurbished) dial has slight patina matching the age of the watch. The radium on the indices were removed in the service history of the watch. The original omega glas is in wonderful, nearly scratch free, condition. The polished case has slight signs of wear. The bakelite inlay of the bezel is missing as its most often the case for this “thin bezeled” model. Please consider the age of the watch. 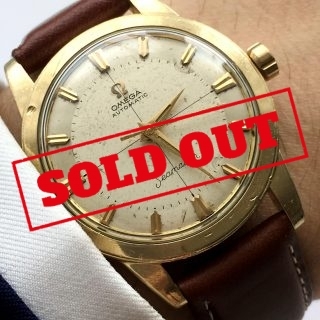 The sweep second hand was exchanged by Omega in the last service. All other parts of the watch remained factory original. 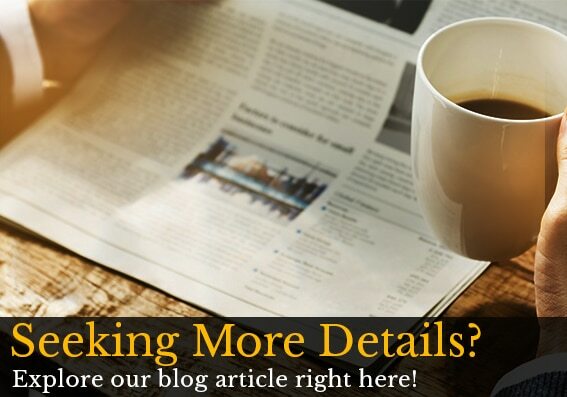 Please take advantage of the macro pictures on our website as we invested a lot of work to produce them. Inside:Last Service in 2013 at Omega itself. The movement works perfectly. The crown moves smoothly. The watch starts running immediately and is keeping time well. The balance wheel oscillates vigorously and regularly. It has been regulated by our watchmaker. Aussen:Das unrestaurierte ORIGINALZIFFERNBLATT hat deutliche aber noch altersübliche Patina. Das Radium wurde von den Indexen aus Gesundheitsgründen entfernt. Nahezu kratzfreies Original Omega Glas. Das polierte Gehäuse hat kaum Gebrauchsspuren.Das schwarze Bakelitinlay in der Lünette fehlt. Der Sekundenzeiger wurde getauscht. Alle anderen Teile der Uhr, mit Ausnahme des Hirsch Bandes, sind noch werksoriginal. Bitte beachten Sie auch die Macrofotos auf unserer Webseite als Teil des Inserats. Innen:Letztes Service 2013 bei Omega – die Uhr läuft absolut perfekt. Der Aufzug ist leichtgängig. Die Uhr läuft sofort an und hält die Zeit. Die Unruh schwingt kräftig und regelmäßig. Das Uhrwerk wurde frisch einreguliert.